Prime Minister of Great Britain and Prime Minister of Ukraine discussed the bilateral cooperation in London. 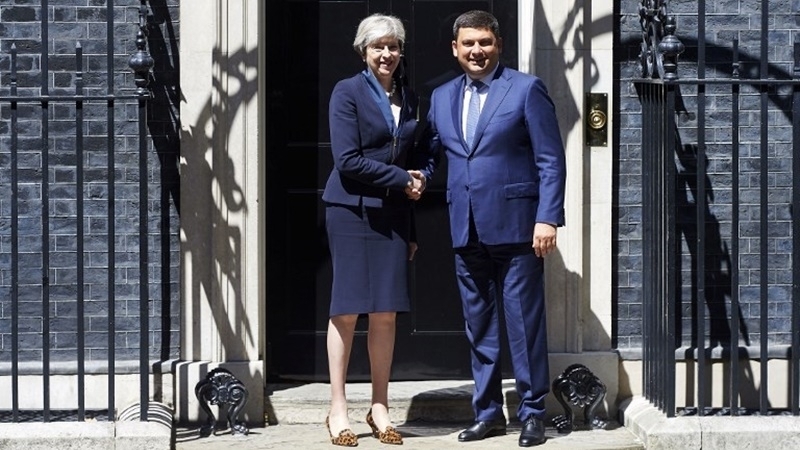 Prime Minister of Great Britain Theresa May and Prime Ministers of Ukraine Volodymyr Groysman discussed the expansion of cooperation between the countries during the meeting in London, web-portal of the Ukrainian Government reported. “We had a good conversation. We discussed the entire spectrum of security and defence issues, inter alia questions pertaining to the support for reforms and deepening cooperation. Great Britain is the principal strategic partner, which has never changed its position and supported Ukraine in all its inspirations,” the Head of the Ukrainian Government said. In particular, Ukraine considers the possibility of concluding a separate agreement with the UK on the Free Trade Area in connection with the London's decision to withdraw from the European Union and to shape its own trade policy. 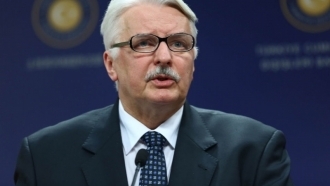 “There is an absolute clear position on territorial integrity of Ukraine, condemning of the aggression of the Russian Federation, and supporting sanctions policy”, the Prime Minister stressed. Reportedly, the official visit of the Prime Minister of Ukrainian Volodymyr Groysman to the United Kingdom of Great Britain is held on July 5. Volodymyr Groysman also plans to meet with British Secretary of State for Foreign and Commonwealth Affairs Boris Johnson, to attend a meeting of the Board of Directors of the European Bank for Reconstruction and Development, and to hold talks with EBRD President Sir Suma Chakrabarty and Canadian Foreign Minister Christina Freeland. The Head of the Government will meet with the heads of leading British companies and investment funds during his participation in the business forum dedicated to the Ukrainian reforms. In addition, Volodymyr Groysman will take part in the Dragon Capital investment conference. Great Britain Ukraine Prime Ministers of Great Britain Theresa May Prime Ministers of Ukraine Volodymyr Groysman Free Trade Area cooperation between Ukraine and United Kingdom.